Sir David Attenborough has described mankind as a 'plague on the Earth' and issued a stark warning that the world must limit population growth. The 86-year-old presenter bleakly predicted that if humans do not curb burgeoning populations then nature will do it for us. 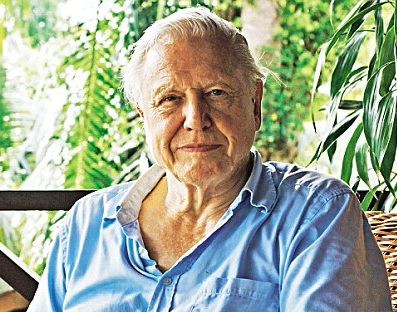 Sir David, who is a patron of the Population Matters organization which calls for smaller family sizes, made his comments while speaking to the Radio Times about his latest series for the Eden channel. The original article in the Daily Mail can be seen here. A quotation from Albert Einstein can be seen on an older overpopulation blog here.